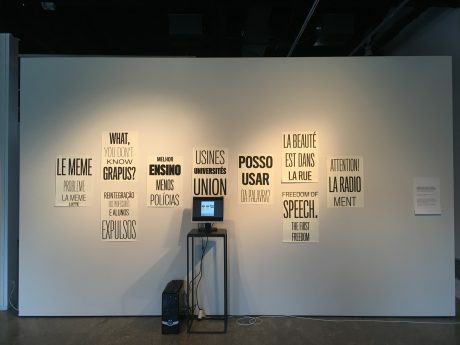 Evolutionary Poster Composer was being featured in the art and design exhibition of 6th Conference on Computation, Communication, Aesthetics & X (xCoAx 2016) held in Centro Arte Complutense (c arte c) of Museo del Traje (Madrid, Spain) on July 11–13 2018. 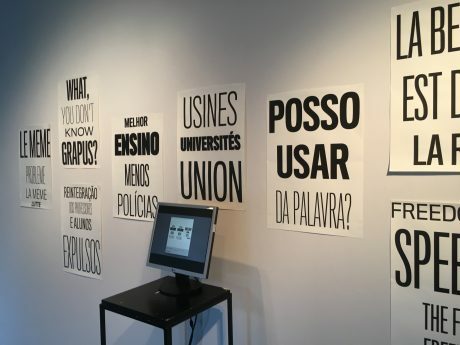 In the exhibition was possible to see the system working and several posters generated using this approach. 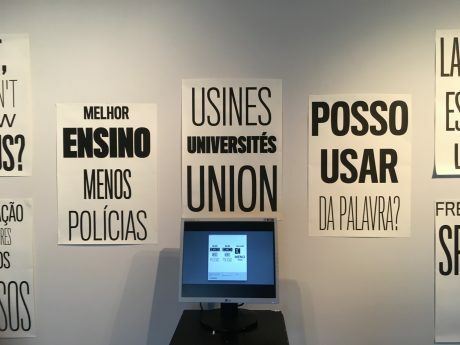 The poster’s content was retrieved and/or inspired in the posters displayed during the events of May 1968 (France) and Coimbra Academic Crisis of 1969 (Portugal). You may find more information about the exhibition at xCoAx webpage. Some Instagram posts results related to the exhibition of the system.